Bottom-tier housing prices are escalating at rates competitive with top-tier properties, and in some cases surpassing them greatly, according to according to the May Zillow Real Estate Market Reports , released Friday. Nationally, the bottom third of the market is seeing fewer price cuts on listed homes and faster growing home values than more expensive homes. May’s numbers showed that while top-tier prices have cooled to a steady 4 percent growth, bottom-tier prices were up 8 percent in May. However, these month-over-month changes are starkly different from year-over-year figures. Compared to last May, top-tier price growth is down by half a percent and bottom-tier price growth is almost 9 percent lower, according to Zillow. In some markets, the gulf between those rate-increase percentages in May was notably larger. The Dallas-Fort Worth market had the largest gains in bottom-tier growth (21.6 percent) in a market that saw 9.5 percent growth in top-tier prices and a 12.5 percent appreciation in middle-tier prices. 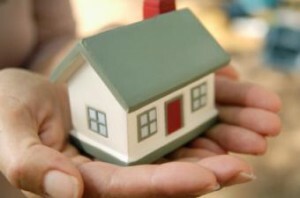 D-FW’s average home value of $187,900 is also close to the U.S. average of $186,100, according to Zillow. Similarly, Denver reported 8.2 percent growth at the top and nearly 18 percent growth at the top, while Houston saw 2.4 percent growth at the top and 13.4 percent growth at the bottom. In most markets, bottom-tier growth in May was higher than top-tier growth, though a few metros, such as Boston, Virginia Beach, Baltimore, and Seattle, saw nearly identical growth at both ends. New York/Northern New Jersey saw higher top-tier growth than bottom-tier, posting 5.1 percent and 3 percent rates, respectively. Only Indianapolis showed negative growth, posting a 1.8 percent decrease in top-tier prices and a 3.3 percent decrease in middle-tier prices. Information for bottom-tier properties was not recorded. 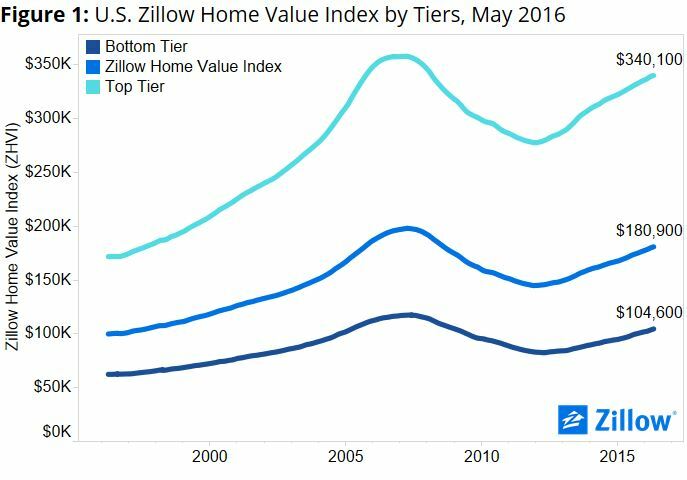 For buyers, according to Svenja Gudell, Zillow’s chief economist, the demand for lower-tier houses could create a lot of bidding wars, and Zillow has, correspondingly, seen buyers turn toward higher-end properties, where growth rates availability have stabilized.